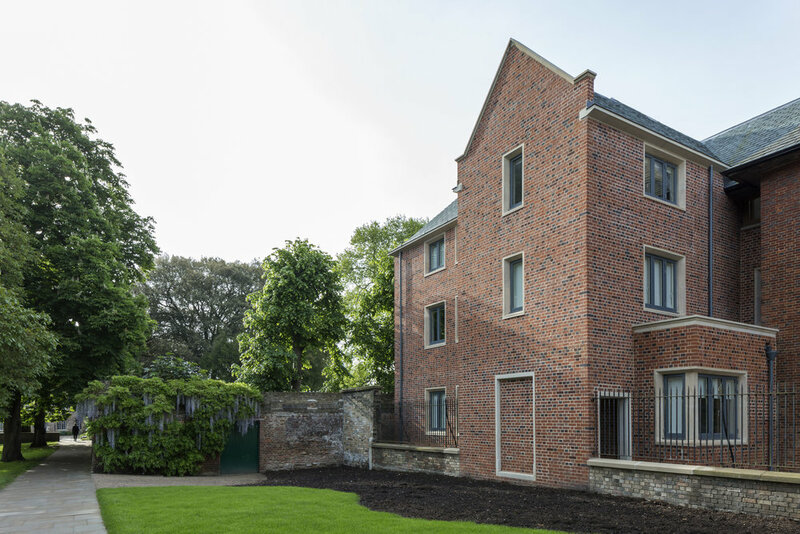 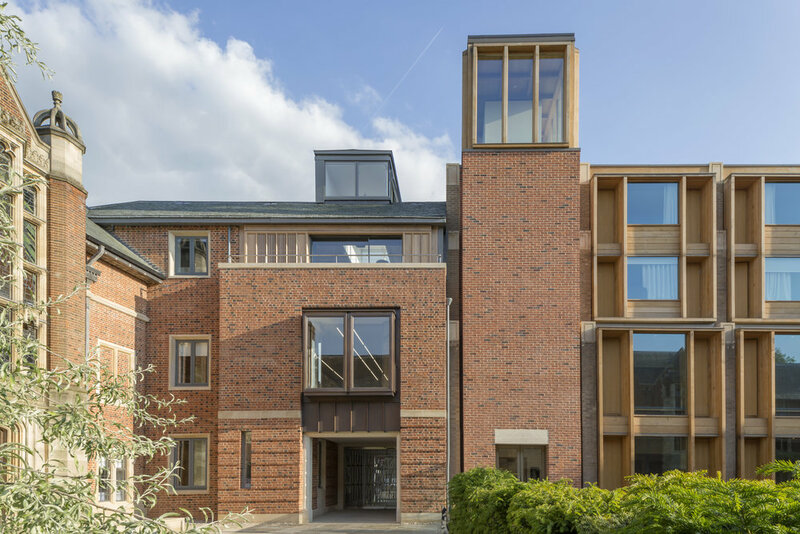 Fifteen new student rooms are grouped around the north east corner, extending the buildings facing onto Jesus College Fellows Garden. 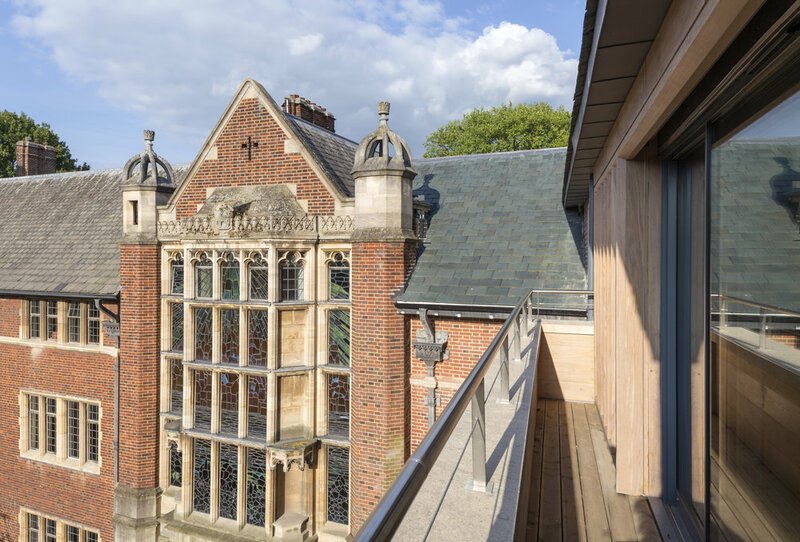 At the front of the site, part of a 1960s building was demolished to form a new main entrance for the College, with a purpose built Porters Lodge and administration provided on the ground floor for the first time in the College’s history, completing the original vision. 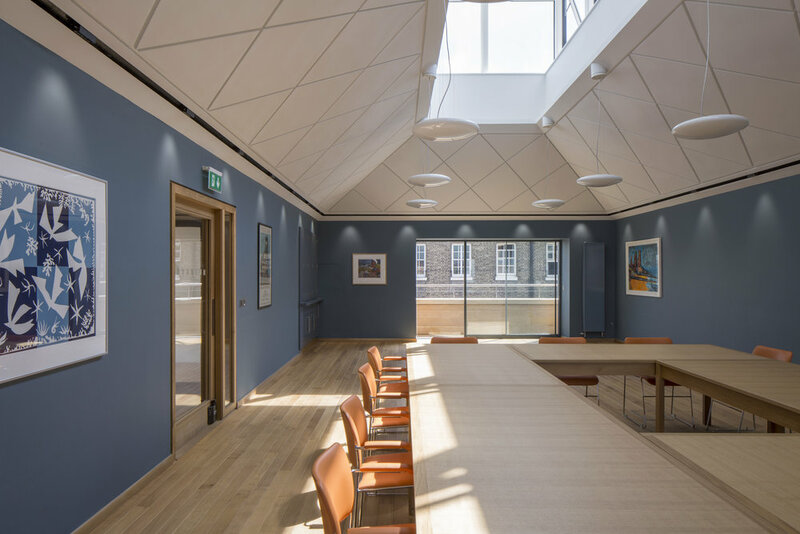 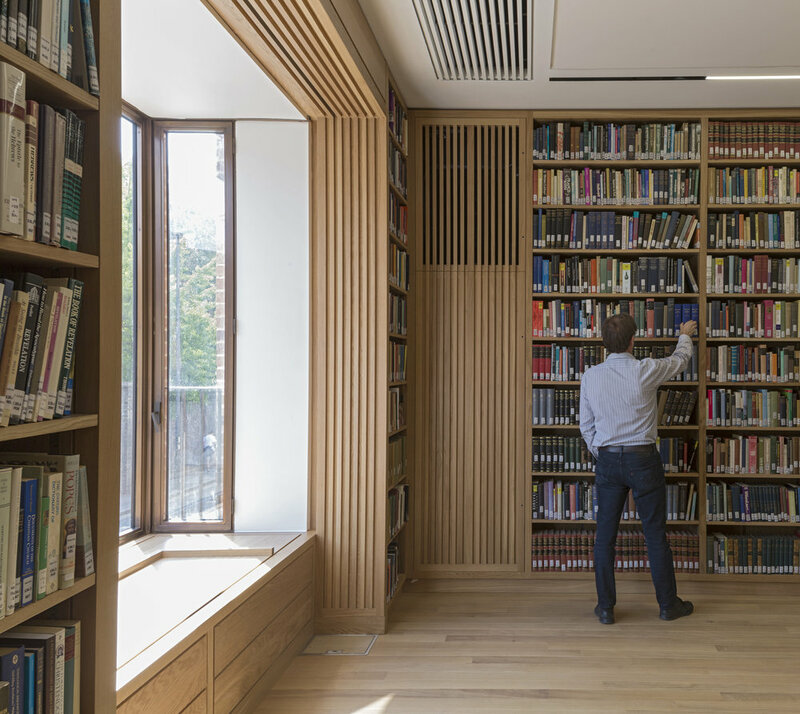 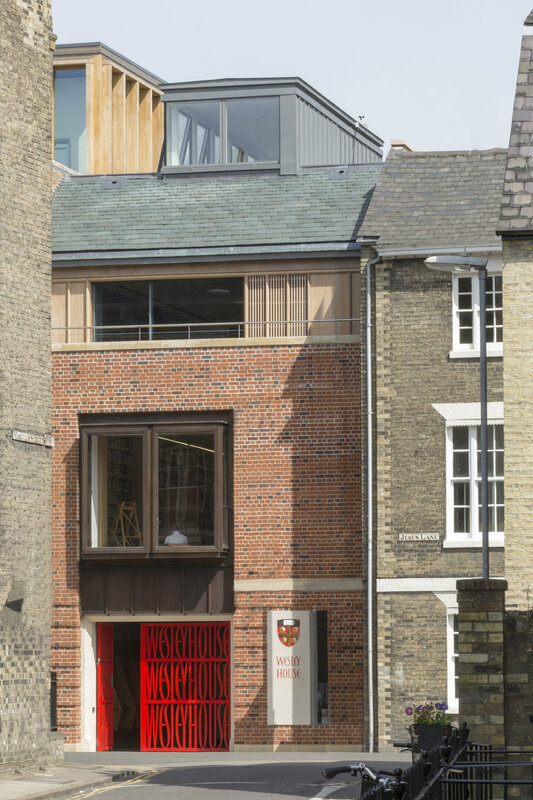 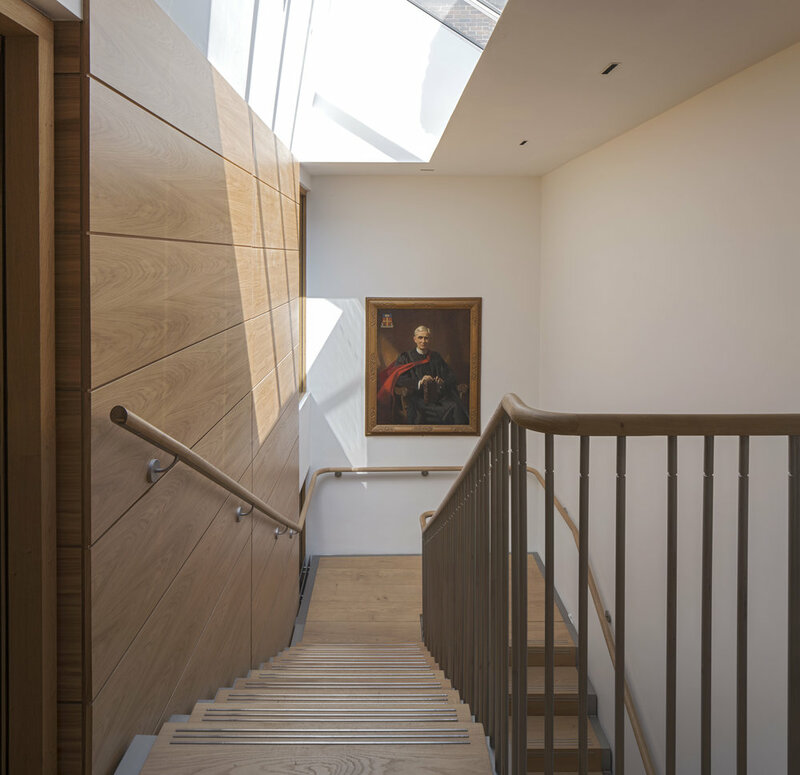 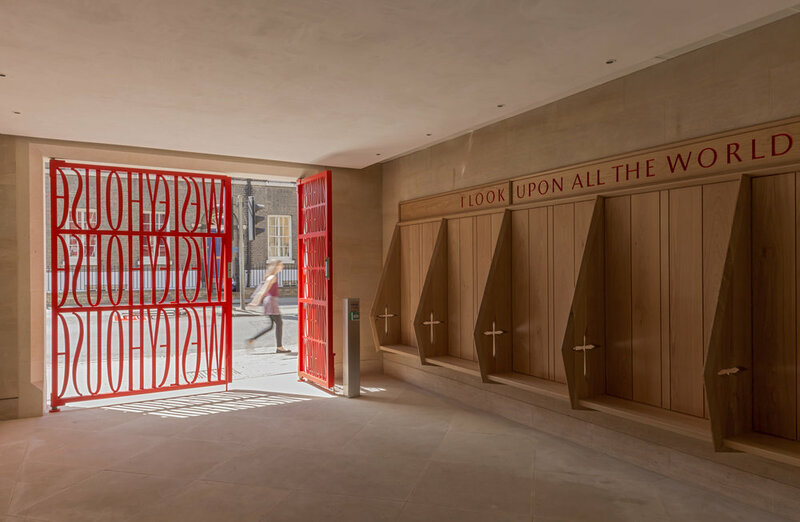 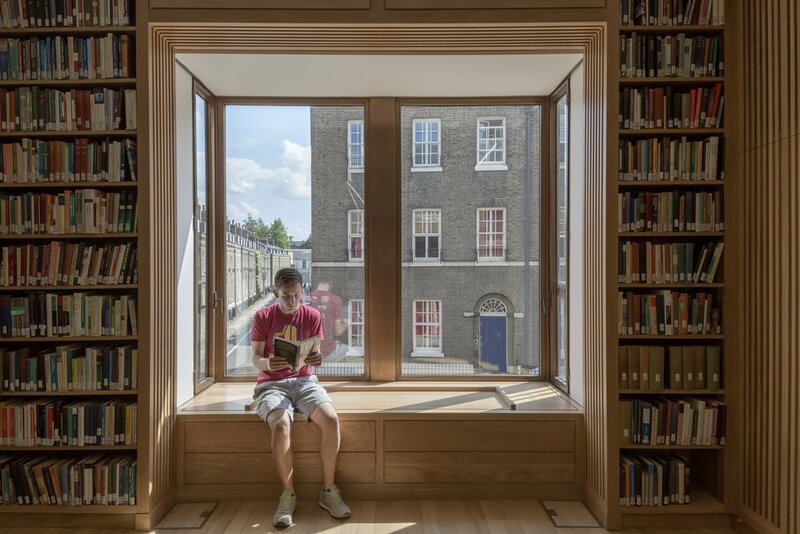 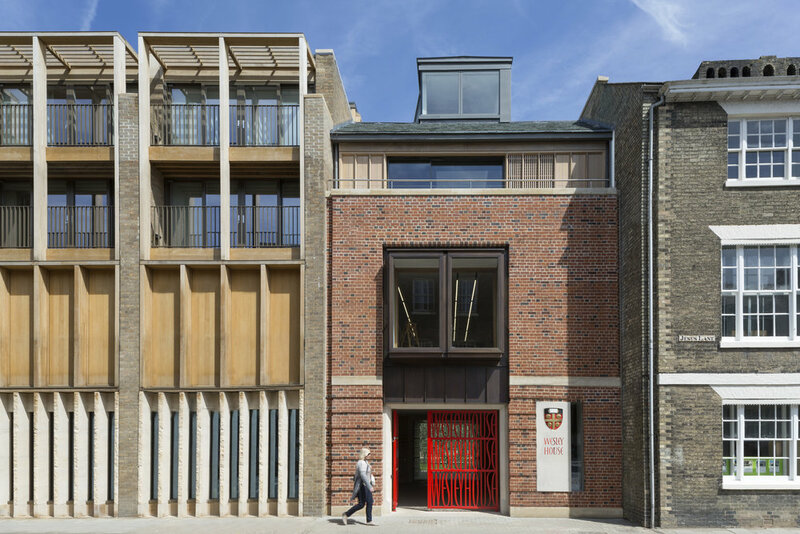 Seminar rooms, a new library and a new dining hall and kitchens on the top floor complete the main part of the new building facing onto Jesus Lane and back into the main court.